The Spring Real Estate Market for Chester County and the Philadelphia Main Line Pennsylvania area is just around the corner. Maybe we did paint the town red for New Years Eve. But that’s yesterday’s news. Time to move on and put 2008 behind us. 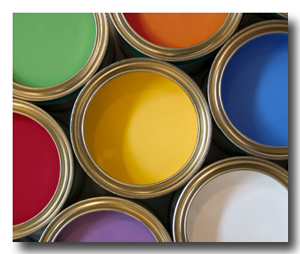 I love color for the home I live in, but for the property you’re selling-not so much! Aren’t These Yummy Colors? Don’t even think about it! Think neutral. Think Broker Beige.